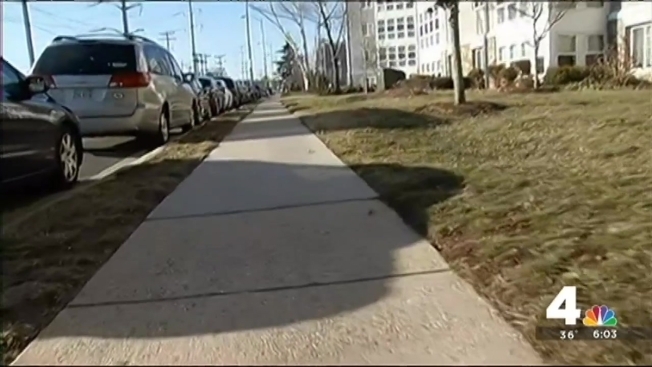 Arlington Police are alerting residents in a neighborhood near Shirlington to be cautious after a high school student was sexually assaulted on the way home Monday. The attack happened at 4:15 p.m. as the Wakefield High School senior walked along the sidewalk near S. Four Mile Run Drive and Walter Reed Drive. Police say a man came up from behind and grabbed her buttocks. She ran in one direction toward the apartments and he fled toward the intersection. "[She was] very scared and frightened, she ran to her residence and contacted her mother who then called police to inform us of the situation," said Arlington Police Spokesman Dustin Sternbeck. No witnesses have come forward yet but police are hoping in the busy area someone might remember seeing the man. Police said the fact that the victim was wearing earbuds in both ears might have prevented her from hearing the attacker walk up behind her. Few residents had heard of the attack. Sachiko Ueno said she never feels unsafe when she walks her two dogs along South Four Mile Run Drive, but she'll be keeping a closer watch in the coming days. "I have to walk them so I need to go out but I definitely will be careful," said Ueno.